Help your clients outperform markets with The Sevens Report. Get a free two-week trial—start today. Oil trade over the last week was a classic case of “buy the rumor, sell the news,” as the speculative rally that carried WTI up to the $52 mark came completely unwound yesterday after OPEC announced that they would extend the cuts nine months, but not deepen them. WTI futures finished down a staggering 4.85% on the day. The oil market ran higher this week into the meeting as expectations shifted from a six-month extension of current policy to a nine-month extension late last week. With that shift in expectations came a surge of speculative bets that if OPEC was willing to extend cuts longer, they might also be willing to deepen them. So, a potential deeper cut began to get priced into the market amid the flurry of buying leading up to the meeting. Unfortunately for the bulls, it was just more of the same cuts through March 2018. The reason the market responded unfavorably to this outcome is pretty simple; the cuts haven’t worked so far, as global stockpiles remain near record highs. OPEC’s Goal: Higher oil prices. OPEC’s Objective: Bring global stockpiles down from a record 3 billion bbls to the five-year average of 2.7 billion. OPEC’s Task: Impose individual quotas totaling a production cut of -1.8M bbls (including Non-OPEC producers) from October 2016 levels to help the market rebalance. OPEC’s Dilemma: Both Russia and Saudi Arabia want higher oil prices (as they always do), specifically because of upcoming elections and the Aramco IPO. But, with higher oil prices comes increased competition from US shale producers, who are ultimately taking market share from those imposing quotas overseas. 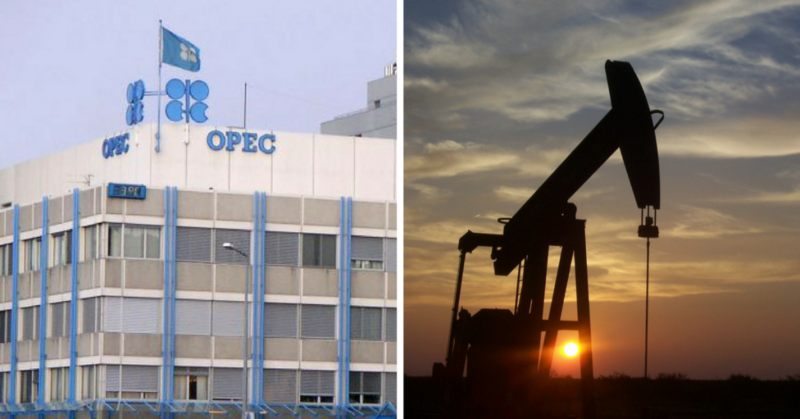 The bottom line here is that yesterday’s OPEC meeting was a disappointment to the market. Oil retraced all of the gains from the last week, as the market does not believe that “more of the same” is going to have a significant effect on stockpiles in the coming months… especially in the face of a nearly +600K bbls increase in US production so far in 2017. Looking into US fundamentals, there has been a slight, bullish shift in the data as oil inventories have been drawn down seven-straight weeks, and the pace of lower 48 production increases have moderated. But the data trend has been “less bearish” rather than outright bullish. On the charts, there was a bearish, one-day reversal in both the active futures contracts as well as the notable calendar spreads. That’s a very bearish technical development with regard to the near term direction of oil. While OPEC and their NOPEC friends say they are willing to “do all it takes” to support a balancing of the oil market, traders don’t believe them. The reason why is because if that were the case, they would have already cut production further. The fact that they’re hesitating to cut production shows that they are not willing to do all it takes, and that their main concern is with revenue. Looking ahead, the single-biggest thing to watch remains US production. If US output continues to climb, it will not only offset cuts by overseas producers, it will increase OPEC angst about losing market share to the US. Recall that the rise of shale production is the reason OPEC crushed prices in 2014 with an “open spigot” policy. Looking ahead, nothing has changed with regard to OPEC member outlook on market share, which means every extra barrel being produced in the US increases the odds of cheating from cartel members. 1) Demand unexpectedly rises this summer amid economic growth and increased consumer spending (a big “if”), resulting in a decline in global stockpiles. It is worth noting that stocks are still pricing in strong growth, so this isn’t that big of a reach. 2) Geopolitics. If tensions rise with Russia, North Korea, or any Middle East nation, a flight to safety move into oil could push futures to new 2017 highs. 1) OPEC and NOPEC quota compliance falls. With every barrel of market share the cartel and friends forfeits to the US, the odds of compliance issues rise. If one producer begins to cheat, as Iraq apparently already has, then it will become much more likely that others will follow. 2) The trend of rising US production begins to accelerate again after moderating over the last few weeks. No matter how you spin it, rising US production is bearish for global oil prices, as it both offsets oil cuts by overseas producers and lowers morale among OPEC members because of the self-inflicted loss of market share that could induce cheating. An excerpt from today’s Sevens Report—get a free 2-week trial of the report with no commitments. Oil remains the big story, as its early morning sell-off to multi-month lows prompted a pullback in stock futures, and ultimately the major US equity indices opened lower. WTI futures finished the day down 1.43%, only slightly above where they opened ahead of the late-November OPEC meeting, where members agreed to collectively cut output. OPEC released its monthly oil market report yesterday, and the big catalyst in the data was a self-reported increase in February oil production by the de facto leader of the cartel, Saudi Arabia. According to direct communication, Saudi Arabian oil output rose 263.3K b/d to 10.01M b/d. 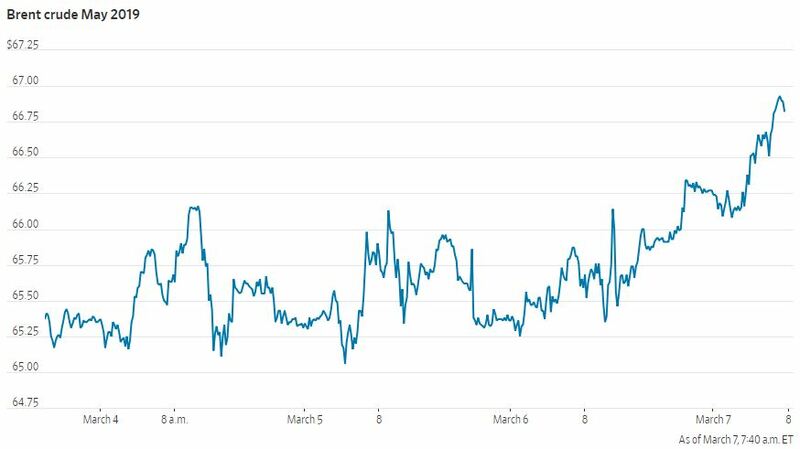 The dip below the psychological 10M mark in early 2017 helped futures stay afloat above $50, as Saudi Arabia was showing their commitment to price support by cutting below their allotted quota (which in fairness they are still below). While data gathered by secondary sources showed another drop of 68.1K b/d to 9.80M b/d in Saudi production, the markets focused on the bearish direct communication data, as it suggests that Saudi Arabia’s commitment to oil cuts may be becoming exhausted. Another notable takeaway from the release was that OPEC only projects that US oil supply will grow at 340K b/d in 2017. Still, at the current pace (which we will admit does not seem sustainable through the medium term), US producers have already brought 318K b/d online in 2017. Today’s EIA report very well could show an increase through that annual expected rise of 340K b/d. 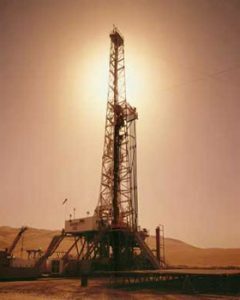 Bottom line, the rapid increase in US production in recent months has been the biggest long-term headwind for the oil market, as it has offset the efforts of the global production cut agreement while simultaneously causing angst within the ranks of OPEC (namely the Saudis) as they start to see market share slip away. Without the full commitment of Saudi Arabia to the global production cut agreement, the deal loses a lot of its luster, as they are the key player who has always taken on the bulk of the cuts and taken the near-term hit in market share for the longer-term benefit of the entire cartel. Meanwhile, “compliance cheating” by other members is historically high, and the chances that compliance remains as high as it is right now if Saudi Arabia begins to increase production are essentially zero. 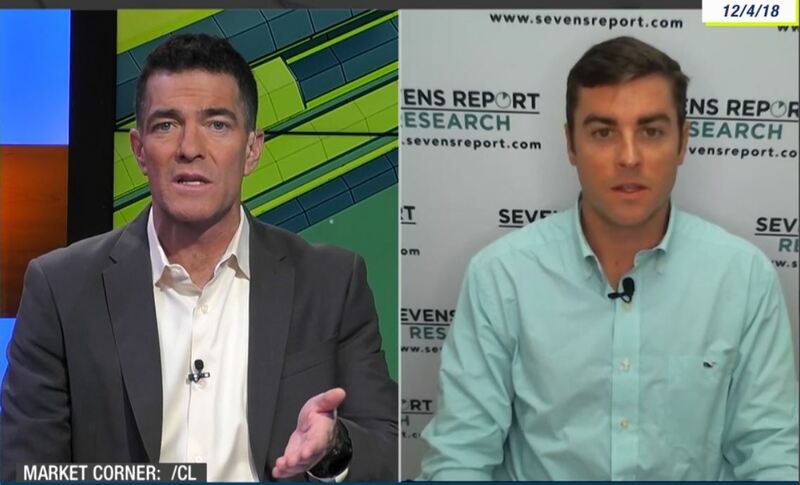 The Sevens Report is in your inbox by 7am each morning. Save time each morning by getting in-depth and jargon-free analysis of stocks, bonds, commodities, currencies, and economic data. Sign up for your free 2-week trial.